Happy Staff Appreciation Week!!! This week we take time to honor and appreciate our staff that does so much more than just teach! We are so very blessed with an incredible team of staff members that dedicate their time and energy to supporting our school mission of educating the whole child! Through their knowledge and expertise, our staff members supervise, guide, prepare, mediate, deliver, share, create, and inspire! We are grateful for our staff and all they do each day!!! Please make sure to mark your calendar forSpecial Person's Day onMay 19th. This annual event is not to be missed!!! Each class will have a performance, our graduating class will be introduced and our community comes together. The event begins at12:30with a picnic style lunch.Families can order lunchhereor bring their own picnic. We will have chairs and umbrellas but often families bring blankets or their own seats. We hope you will be able to join us!!! You are also invited to join us nextTuesday, May 9thfor Mass at8:30hosted by our2nd graders. Our 2nd graders will join us fully in thecelebration of the Eucharistand we will honor andcrown Mary. We come to you today and give thanks for all our teachers. Thank you for the way in which they give of themselves each day in the classroom, serving and instruction the next generation of this land. We thank you for them all now. Father, please fill their hearts with courage now by your mighty Spirit. Fill them with your strength, so they may rise to every challenge and not grow weary. Fill them with your wisdom, so that they may be able to make good judgement when guiding and helping others. Fill them with your peace, so that when stress and anxiety comes it will not overwhelm them. Fill them with your joy, so that the passion they have for the their subject may become an infectious passion that spreads. 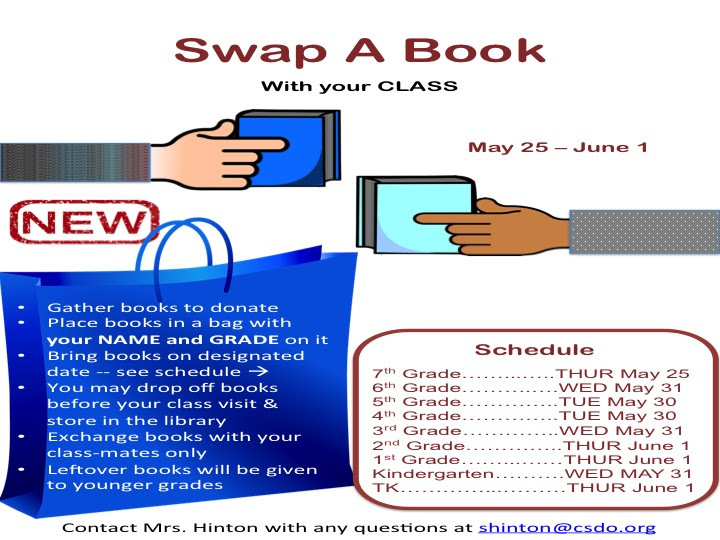 Spring Photoswere sent home with your child last week.A Lifetouch reminder envelope is coming home with child today.Please return payment and/or unwanted photos in the envelope to your homeroom teacher byFriday, May 5th. St. Perpetua's Cub Scout Pack 114 is having thePinewood Derby at6pmonFriday, 5/5in the Church Hall. St. Isidore Parish is offering a workshop on'Family Evangelization: Engaging Parents & Their Children in the Faith'onTuesday, May 16. Clickherefor more information. Special Person's Dayis onFriday, May 19th, 12:30 pm - 2:45 pm. It is a very special St. Perpetua tradition where you canenjoy a dance performance by eachclass, watchaceremonial pinning that honors each 8th grade student,honor those 8th grade families that will have their last child graduate from St. Perpetua, and hear the announcement of our yearbook dedication.Families are encouraged to invite a special person (or people) such as grandparents, aunts, uncles or a dear family friend. The event begins with lunch in front of church or on the hill at12:30pm. You may bring a picnic lunch, or order a lunch.Hereis the link forlunch orders. After lunch, each grade does a fun dance performance. It is also an opportunity to honor the eighth grade class.There will be seating & umbrellas for the event, but we highly recommend wearingsunscreen & hats. We can't wait for you to see this wonderful event! PJ Party Day ~ An Auction Fundraiser for all students! party at lunch with treats, a cool, custom t-shirt and music for all. Spirit Week startsMonday, May 15thand wraps up on Special Persons Day,Friday, May 19th. there is a special free dress theme for each day. 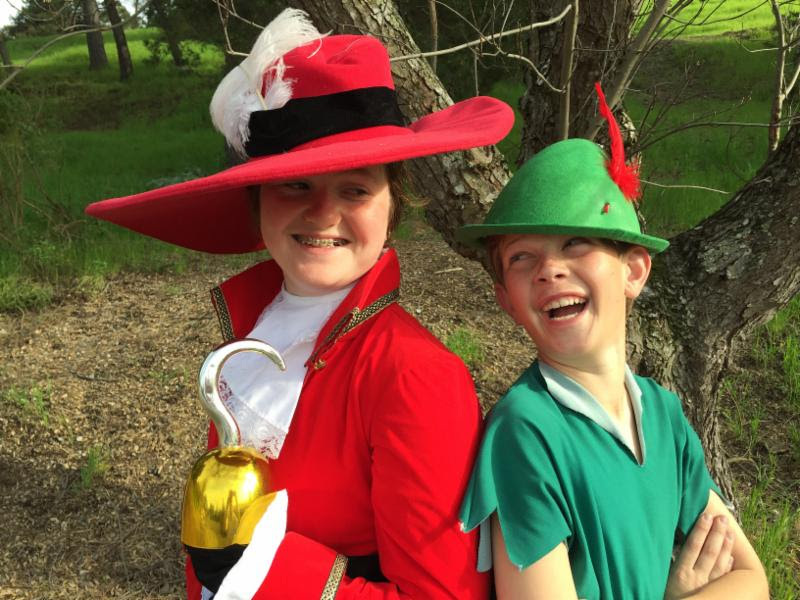 Lamorinda Theatre Academy and St Perpetua School presentPeter Pan JR.
45 talented StPerpetualstudents (TK - 8th) have been rehearsing 3 hours a week since January to present this spectacular show! 60 minutes, no intermission, suitable for the whole family. Come support these amazing performers. Please join usthisFridayat Cafe` Perpetua!We're so excited to be back and we can't wait to see everyone! We'll have our usual breakfast goodies along with blueberry croissant french toast and savory bacon avocado muffins. 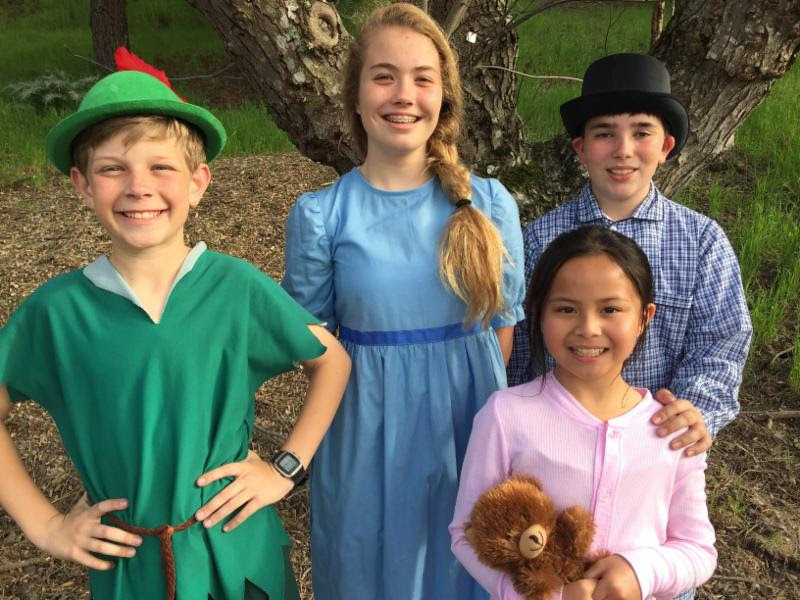 Congratulations to our St. Perpetua students who have been participating in theOdyssey of the Minds Competition.5th gradersBenjamin Wang, Beatrice Roberge, and Nicholas Aikenare members on one of the teams that will be going to theWorld Finals in Michiganlater this month! If you have not had a chance to submit your calendars forMayandJune. We know it's a busy time of year and schedules will change, and then change again, as we wrap things up for the year. Just give the calendar your best shot, and email me when your plans change. A huge thanks to all the parents who have signed up for the balance of the school year.Here is theSnack Calendar link.Here is theSnack Guidelines link.